The Juvenile Arthritis Conference boasts a lot of cool events and activities, but this goes a step above and beyond! 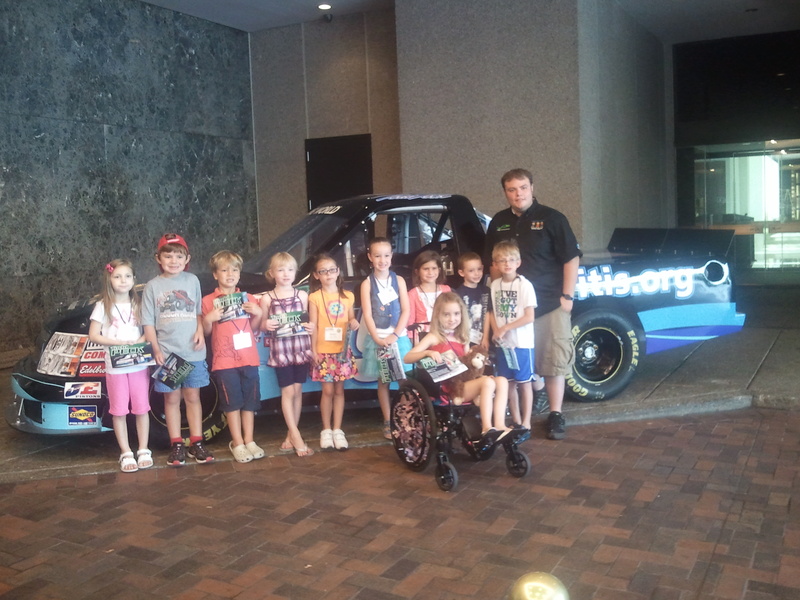 NASCAR driver Todd Peck, who lives with Juvenile Arthritis himself, attended the JA Conference and was kind enough to get photos with some fellow JA kids and teens. Additionally, he and his team had his car emblazoned with the Arthritis Foundation, “Kids Get Arthritis, Too” logo — and you’ll be able to see it next weekend on a televised race! 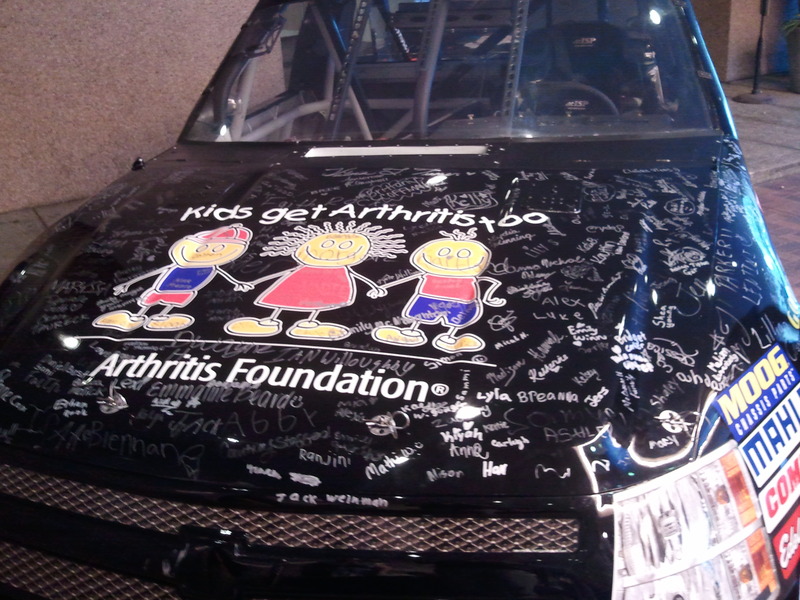 Better yet, children and teens who were in attendance at the Juvenile Arthritis Conference 2011 have had the opportunity to sign the car, and so will be able to essentially see a little part of themselves on the track as he races! What a great way to raise awareness for juvenile arthritis and to let the world know that it can affect anyone, anywhere, at any time, regardless of age! Todd Peck surely is a shining example of not letting adversity stand in the way of your dreams. Check out some photos, below! You can also view the Arthritis Foundation live stream by clicking here. Tags: advocacy, Arthritis Ashley, Arthritis Foundation, Ashley Boynes-Shuck, Awareness, Childhood Arthriits, JA, JA Conference, JIA, JRA, Juvenile Arthritis, Mid Atlantic AF, Mid Atlantic Region, NASCAR, Photos, racing, Rheum, Todd Peck. Bookmark the permalink.